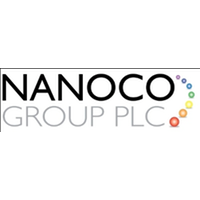 Shares in Nanoco Group PLC with EPIC code: LON:NANO has moved up 3.63% or 1.7 points during the course of today’s session so far. Market buyers have so far held a positive outlook throughout the trading session. Range high for the period so far is 49 dropping as low as 47.5. The total volume of shares exchanged so far has reached 481,006 whilst the daily average number of shares exchanged is just 345,872. The 52 week high for the share price is 49.95 which comes in at 3.15 points in difference to the previous days close of business and a 52 week low sitting at 23 is a variance of 23.8 points. Market capitalisation for the company is £138.67m at the time of this report. Share price is traded in GBX. Mcap is measured in GBP. This article was written with the last trade for Nanoco Group PLC being recorded at Tuesday, February 5, 2019 at 11:50:21 AM GMT with the stock price trading at 48.5 GBX. Shares in Prudential plc with company EPIC: LON:PRU has climbed 1.45% or 21.99 points throughout today’s trading session so far. Investors have remained positive throughout the trading session. The periods high has reached 1541 and hitting a low of 1497.5. The amount of shares exchanged has so far reached 1,090,961 while the average shares exchanged is 5,394,845. The 52 week high is 1962 some 448 points difference from the previous close and the 52 week low at 1324.99 is a variance of 189.01 points. Market capitalisation is now £39,830.35m at the time of this report. The currency for this stock is GBX. Market cap is measured in GBP. This article was written with the last trade for Prudential plc being recorded at Tuesday, February 5, 2019 at 12:02:53 PM GMT with the stock price trading at 1535.99 GBX. The stock price for Rentokil Initial plc found using EPIC: LON:RTO has risen 1.69% or 5.9 points during today’s session so far. Market buyers have stayed positive during the trading session. The periods high figure was 356.2 and a low of 346.1. The total volume traded so far comes to 1,722,775 with the daily average at 6,104,104. The 52 week high is 358.1 about 8.6 points in difference to the previous days close of business and a 52 week low sitting at 257.4 making a difference of 92.1 points. The market capitalisation is now £6,551.21m at the time of this report. All share prices mentioned for this stock are traded in GBX. Mcap is measured in GBP. This article was written with the last trade for Rentokil Initial plc being recorded at Tuesday, February 5, 2019 at 12:02:22 PM GMT with the stock price trading at 355.4 GBX. The trading price for Rolls-Royce Holding PLC ticker code: LON:RR has climbed 1.07% or 9.6 points during the course of today’s session so far. Buyers seem confident throughout the session. The periods high has reached 909.4 and a low of 887. The total volume of shares exchanged so far has reached 827,678 while the average shares exchanged is 4,828,604. A 52 week share price high is 1104.5 about 206.5 points different to the previous business close and a 52 week low sitting at 9.88 a difference of some 888.12 points. The market cap now stands at £17,205.88m at the time of this report. The currency for this stock is Great British pence.Market cap is measured in GBP. This article was written with the last trade for Rolls-Royce Holding PLC being recorded at Tuesday, February 5, 2019 at 12:02:52 PM GMT with the stock price trading at 907.6 GBX. Shares of Royal Bank of Scotland Group plc company symbol: LON:RBS has stepped up 1.23% or 3 points during today’s session so far. Traders have stayed positive during this period. The periods high has reached 247.5 and a low of 243.4. The total volume of shares exchanged so far has reached 4,794,122 while the daily average number of shares exchanged is 15,523,982. The 52 week high price for the shares is 297.4 equating to 53.9 points in difference to the previous days close of business and a 52 week low sitting at 200.1 is a variance of 43.4 points. The market capitalisation currently stands at £29,699.97m at the time of this report. Share price is traded in GBX. Mcap is measured in GBP. This article was written with the last trade for Royal Bank of Scotland Group plc being recorded at Tuesday, February 5, 2019 at 12:02:56 PM GMT with the stock price trading at 246.5 GBX. Shares of Royal Dutch Shell Plc ticker code: LON:RDSA has climbed 1.6% or 38.5 points during today’s session so far. Traders have so far held a positive outlook during the trading session. Range high for the period has seen 2458 while the low for the session was 2427.5. The number of shares traded by this point in time totalled 2,600,080 with the average number of shares traded daily being 7,050,006. The 52 week high price for the shares is 2755 some 342 points in difference on the previous days close and a 52 week low being 2168.5 which is a variance of 244.5 points. The market capitalisation currently stands at £229,926.95m at the time of this report. The share price is in Great British pence. Mcap is measured in GBP. This article was written with the last trade for Royal Dutch Shell Plc being recorded at Tuesday, February 5, 2019 at 12:02:55 PM GMT with the stock price trading at 2451.5 GBX. Click NANO RBS RDSA RR RTO for the full archive.